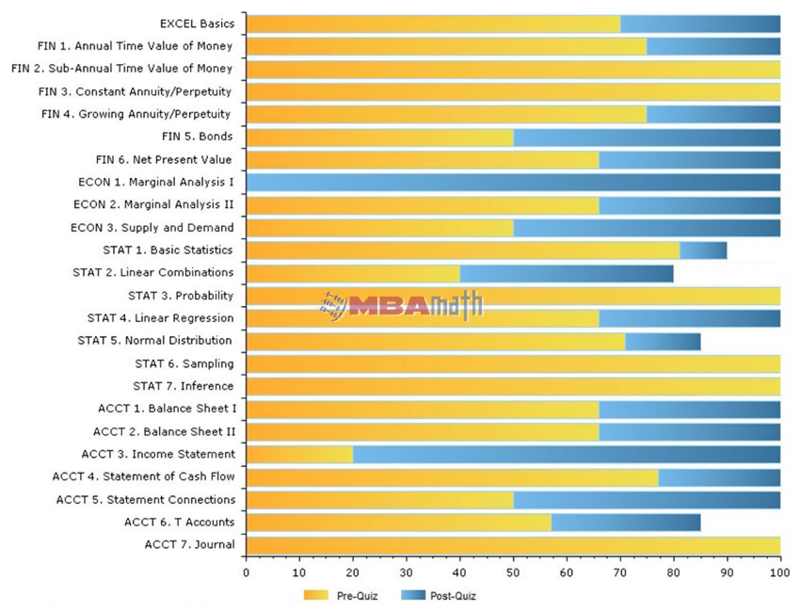 MBA Math is a self-paced online learning resource designed to help prospective and admitted MBA students to build a solid foundation of MBA quantitative and spreadsheet skills. 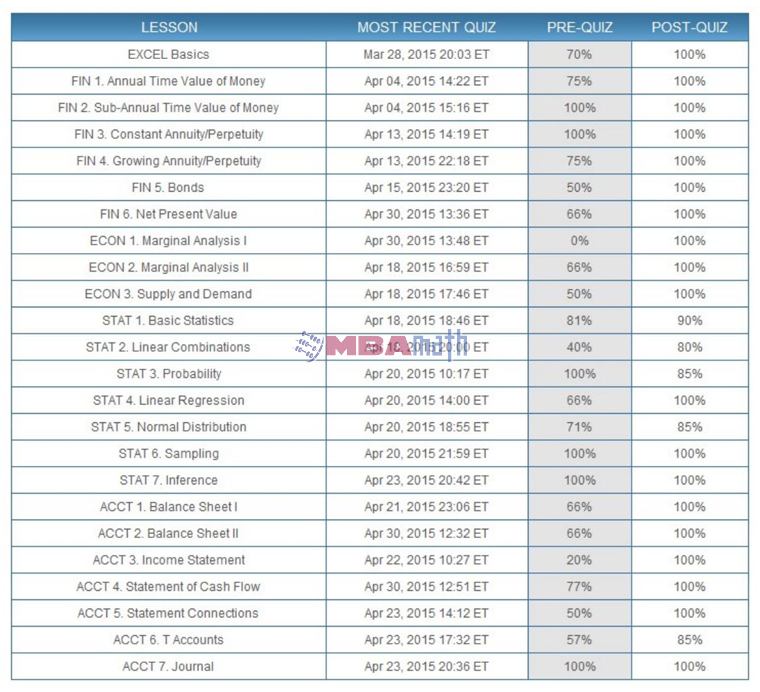 The MBA Math course consists of 24 lessons in 5 subjects: spreadsheets, finance, microeconomics, statistics, and accounting. Course time varies greatly depending on prior experience. 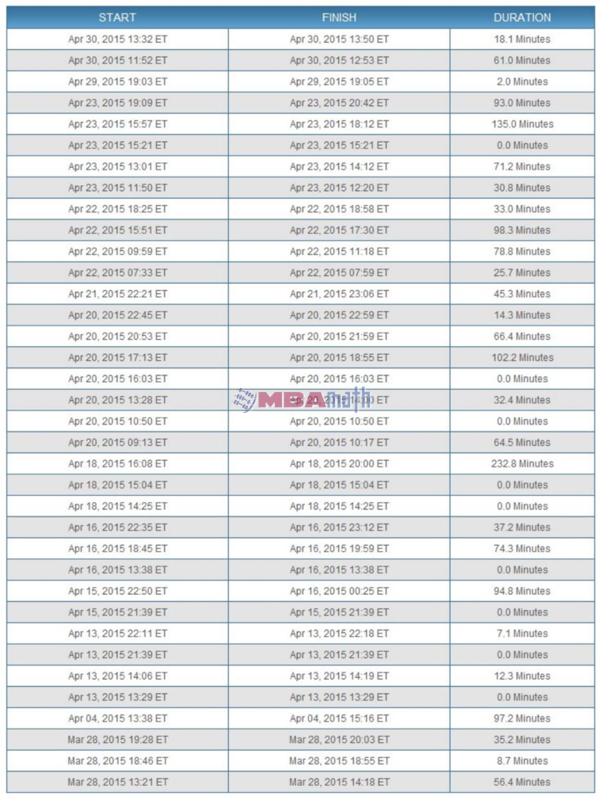 The live MBA Math course, from which the online course is adapted, meets for 35 hours over five days. For the online course, some students show proficiency in less than 12 hours. More typically, students require 20 to 40 hours. High-end usage can exceed 50 hours. Session duration calculations are approximations. Session activity is measured by logging key user events. Session duration calculations are underestimates to the extent that students continue to work with the site after the last key user event occurs. 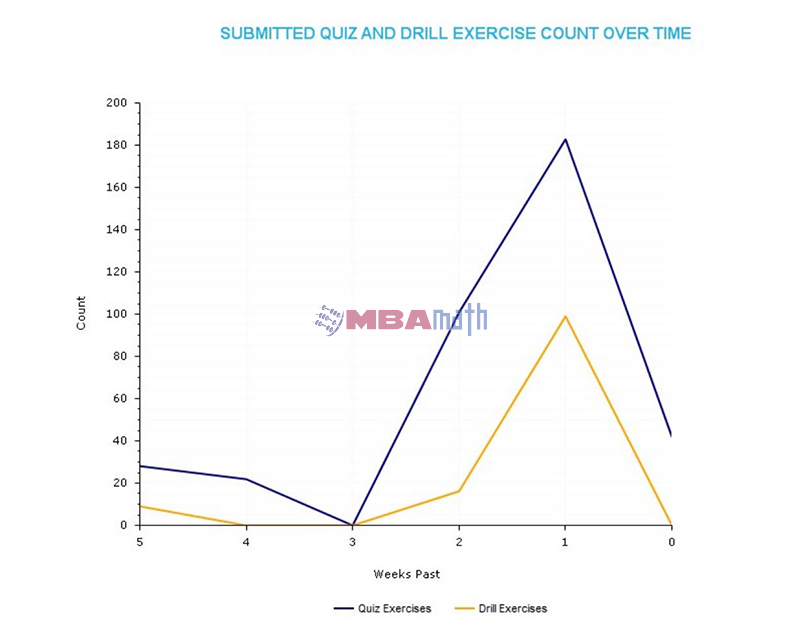 For example, suppose a students ends a learning session by requesting a drill exercise solution. The site logs the time the user requests the exercise solution. But there is no way to record the additional time that the student spends reviewing the solution when the user does not afterwards proceed to another key user event. 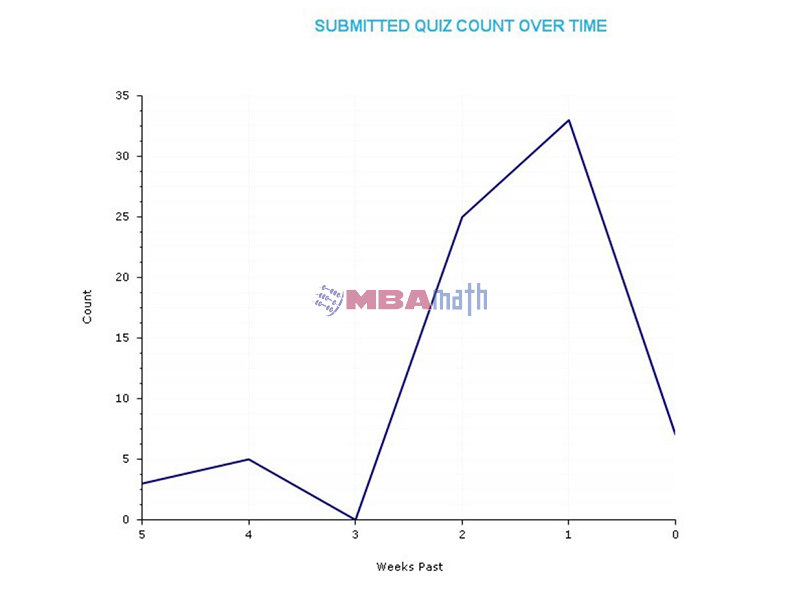 Session duration calculations are overestimates to the extent that students are not working with MBA Math material between key user events. Sessions time out after 30 minutes with no key user event. The preceding session ends with the last key user event and session durations do not include the time out period.